Here are our top tips for figuring out who will stand by your side on your wedding day. Your wedding party is a group of people who will be there for you every step of the way during your wedding planning and beyond. Usually reserved for your closest family members and friends, deciding who should be in your wedding party isn’t always the easiest decision. Here are our top tips on how to choose your wedding party. Your siblings (both yours and your future spouse’s) should most likely be included in your wedding party, but beyond that it’s really up to you. Close friends and family members from both sides are other easy picks. Think about people who are trustworthy and have known you and your fiancé(e) for the entirety of your relationship. 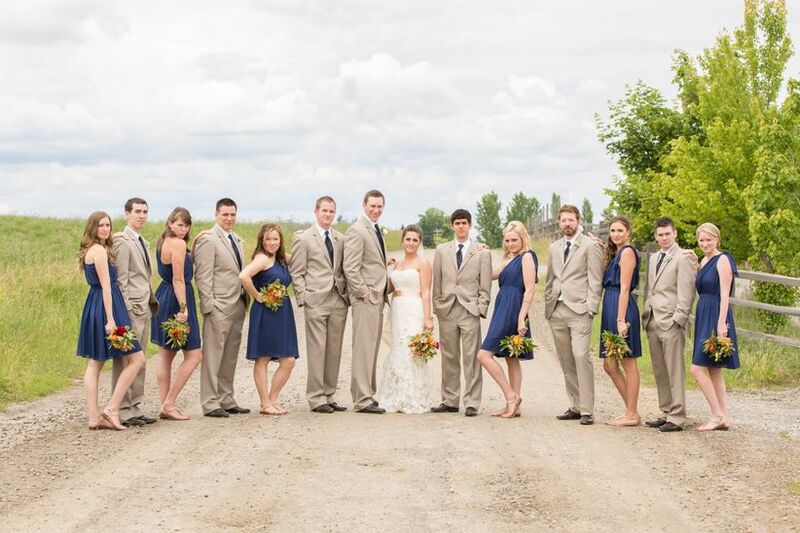 The size of your wedding party should be somewhat proportional to your total number of guests. 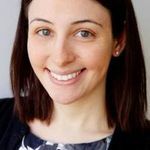 If you’re having a small wedding (under 150 people), you should keep your wedding party small, as well – meaning five or fewer attendants per side (and yes, if you want to just have one attendant, that’s totally cool too!). But if you’re having a large wedding, feel free to have a bigger wedding party. How big is too big? 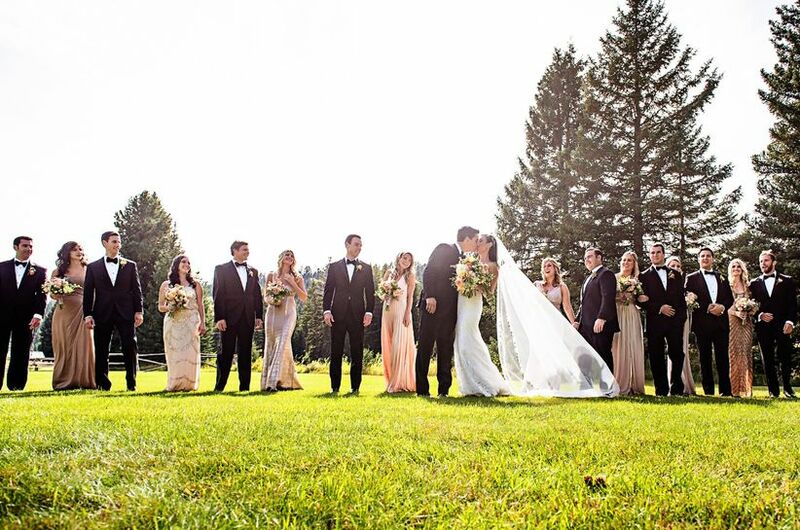 It’s really up to you – as long as everyone will fit standing side-by-side at the altar on your wedding day! 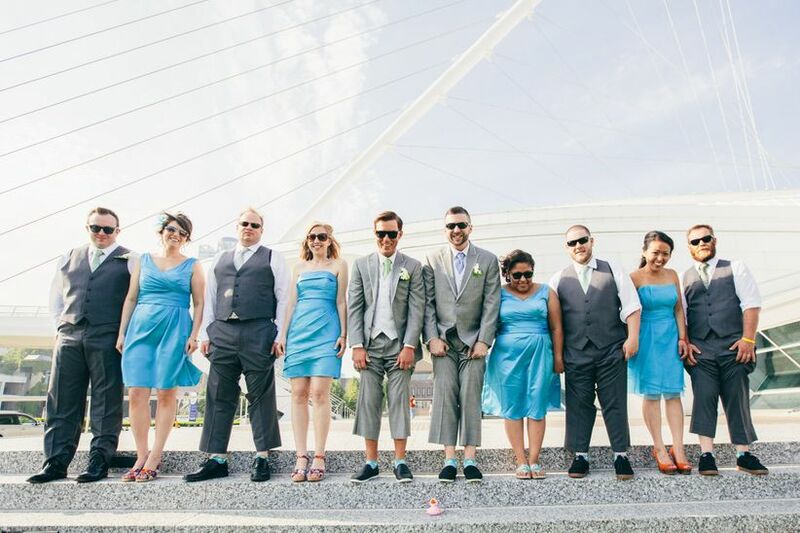 Sure, it may make photos look nice, but if you’re having trouble having an equal number of bridesmaids and groomsmen, don’t sweat it. The photos will look fine, you can double up for the walk down the aisle, and the important thing is having a wedding party that reflects your closest friends and family members. 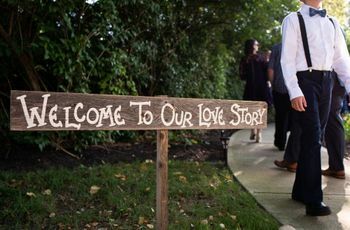 There’s no need to add a person that you have lukewarm feelings for to your wedding party just to keep things even – you’ll likely regret it in the long run. Sure, tradition dictates that bride’s side is all girls and the groom’s side is all guys, but rules are meant to broken, right? The sides should be chosen based on the relationship with the couple, not gender roles. 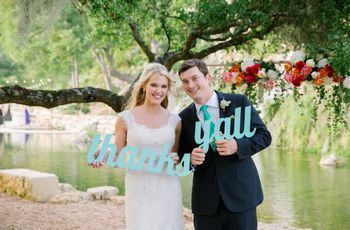 So if the bride has a guy friend who she’s known since kindergarten, make him a “bridesman.” Or if the groom and his sister have always been a dynamic duo, she can be a “groomslady.” You can even mix up the attire so the groomsladies wear a different dress than the bridesmaids that still matches the color scheme, and the groomsmen can wear different ties. You don’t have to have a maid of honor or best man, especially if it’s not clear who those people should be. And if there’s more than one person that fits the bill, it’s okay to “break the rules” and have multiple maids of honor, best men – or “men of honor” or “best women,” if you’d like! You want to make sure your wedding party includes the people you are closest with right now. 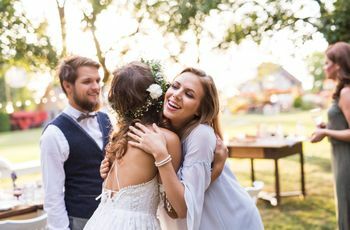 Just because you were a bridesmaid in a friend’s wedding years ago and you’re no longer as close, you don’t have to invite her to be in your wedding. With family members, however, you should tread a bit more carefully. If you were in the wedding party of a family member years ago, it might be a good idea to include him/her in yours to avoid family drama. Yes, your wedding is your day and you should be able to pick the wedding party you want. But, consider people’s feelings while you’re at it. If you have two sisters, don’t exclude one from the wedding party because she didn’t buy you a birthday present six years ago. 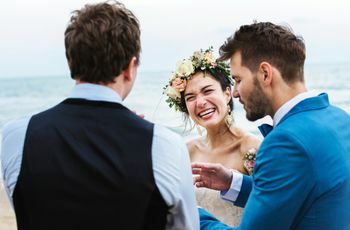 And if you really think excluding someone from the wedding party will cause serious family drama, you might consider including that person – or giving them another special role, like performing a reading at the ceremony, as an alternative. Remember, you don’t have to invite children to your wedding – and don’t feel like you’re required to have a flower girl and ring bearer just to amp up the cute factor of your wedding day. If there are children who you are truly close to, by all means, include them in your wedding, but it’s okay to have a no-kids wedding party if that’s more your style.